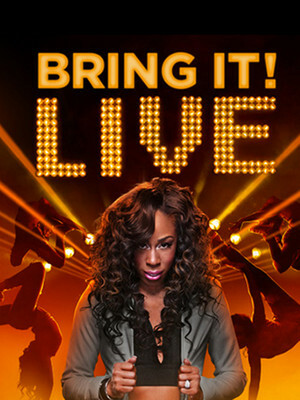 Why See Bring It! Live? Miss D And Her Dolls Are Dancing Live! Are you ready to Bring It? Because the hugely popular Lifetime TV dance competition is stepping out of the box and on to the stage this Summer, bringing the moves, the drama and the sass that has made it a prime time staple! Join Miss D and her Dancing Dolls as they perform high-energy routines, take questions and give exclusive behind-the-scenes info about show - there'll be audience voting too! Catch them live on stage near your soon! Bring It! first burst onto our screens in 2014 and centers on the fabulous Coach Dianna 'Miss D' Williams, owner of the Dollhouse Dance Factory and driving force of the Grand Champoin title-winning troupe. Their blend of hip-hop majorette and stand battle routines (keep an eye out for the chair stand - a crowd favorite!) is popping, locking and filled with attitude! Sound good to you? Share this page on social media and let your friends know about Bring It! Live at Majestic Theater. Please note: The term Majestic Theater and/or Bring It! Live as well as all associated graphics, logos, and/or other trademarks, tradenames or copyrights are the property of the Majestic Theater and/or Bring It! Live and are used herein for factual descriptive purposes only. We are in no way associated with or authorized by the Majestic Theater and/or Bring It! Live and neither that entity nor any of its affiliates have licensed or endorsed us to sell tickets, goods and or services in conjunction with their events.